The Base Village project at the base of the Snowmass Ski Area took a significant step forward from its post-recession gridlock Thursday with the announcement that Sunrise Co. and Oaktree Capital Management had signed a letter of intent with Related Cos. to develop 44 residential units in three buildings in the project’s core. Sunrise, which also is developing the stalled Dancing Bear project in Aspen, intends to finish constructing Building 8, which was originally designed and approved to be The Little Nell Snowmass hotel, Building 7, the incomplete arrival center for the project, and Building 6, which would include nine units. Building 8 was approved with 27 residential units and Building 7 was approved with eight units. Together with the nine units approved in Building 6, that adds up to 44 units, which is the same number that Sunrise and Oaktree now intend to build, according to Steve Alldredge, a spokesperson for Related. Alldredge also said the companies intended to keep the “massing and scale of the buildings” the same. Building 8 includes at least six stories. 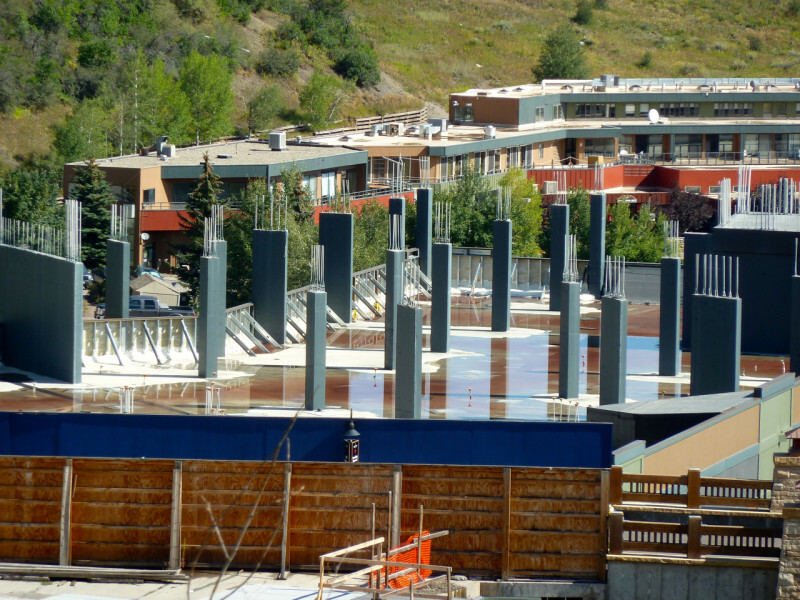 While the unit count may not change from the original approvals, what is different is that Sunrise, Oaktree and Related intend to market and sell the units as fractional, or timeshare, units, and that will require a change to the existing approvals from the town of Snowmass Village. That proposed change, and perhaps others, will be included in an application to amend the Base Village approvals that Related intends to submit to the town on Oct. 15. The same application will include Aspen Skiing Co.’s proposal to build a 102-room hotel in Building 5 under the Limelight hotel brand. Building 5 was originally approved for 57 units in what was to be marketed and managed as The Little Nell Snowmass Residences. 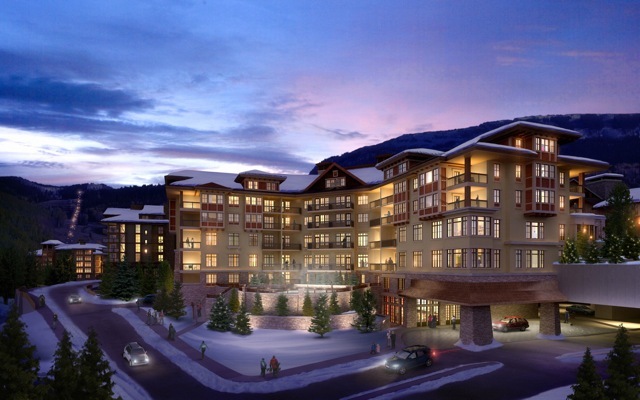 While Sunrise has contracted with Timbers Resorts to manage the fractional units in the Dancing Bear in Aspen, Alldredge said he is not aware that a management partner, or brand, has been selected for the proposed 44 units in Base Village. Building 8 was specifically designed to be a Little Nell condo-hotel. Of its 27 for-sale luxury condos, 19 were to have lock-off rooms that could be rented as hotel rooms. The one- to four-bedroom units ranged in size from 1,256 square feet to 3,599 square feet. In February 2007, about two-thirds of the units in Building 8 were under contract for an average price of $3,000 a square foot, which was a record price for a condo in Snowmass Village. Prices were ranging from $3.1 million for a one-bedroom unit up to $11.5 million for a three-bedroom unit. The unfinished Building 8 n Base Village, once planned to operate as a Little Nell Snowmass hotel. Related, the developers of the project, are making new plans for the building. Dwayne Romero, the president of Related Colorado, is also an elected official who sits on the Aspen City Council. On Tuesday, he voted at a continued city council meeting to approve a private tunnel proposed by Sunrise Co. that would connect the Dancing Bear with a second building across Durant Avenue. The three buildings that Sunrise and Oaktree intend to buy are all on Lot 3 in Base Village. Romero then went on to say that he had reviewed the potential conflict of interest with Aspen City Attorney Jim True. On Thursday, True confirmed that he advised Romero that under the city charter’s rules on conflicts, Romero should disclose his relationship to Related and Sunrise, but he did not have to recuse himself from voting on the proposed tunnel. And that’s because Romero does not have a direct financial stake in Related Cos. — which is a privately held company — and is just an employee. “I’m not an owner or a partner of the Related Cos.,” Romero said during his disclosure, nor of Sunrise Co. or other entities with an interest in the Dancing Bear. “Therefore I have no financial interest as tested through the conflict of interest policy within our charter and therefore I will stay here at the table,” Romero said. The tunnel proposal later passed on a 3-2 vote. Sunrise has developed over 15,000 homes in 15 resort communities, primarily in golf course and country club settings, including the Garden of the Gods Club in Colorado Springs. Oaktree is an investment firm with $91 billion in assets under management. In February 2012, Sunrise Co. and Oaktree teamed up to buy the Dancing Bear in Aspen, including an unfinished building on the lot that was once home to Chart House restaurant. The companies intend to begin construction this year on the building. Related bought the Base Village project in 2007 from SkiCo and Intrawest for $169 million, but then largely pulled the plug on construction in the wake of the 2008 financial crisis. Building 8, on lower Wood Road, was left about 12 percent complete, according an official at Lowe Enterprises, which managed the Base Village project after it was foreclosed on by German bankers. Related then re-acquired Base Village in 2012 and has since been working to find a way forward on the project. Editor’s note: Aspen Journalism and the Aspen Daily News are collaborating on coverage of Snowmass Village and other local governments. The Daily News published this story on Friday, Aug. 29, 2014.